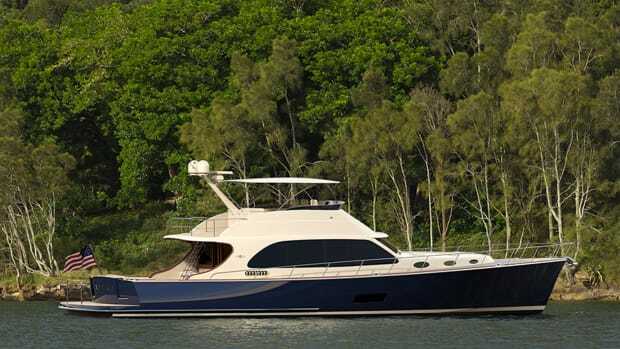 Zurn Yacht Design unveils a bold new design for the Hylas M58 flybridge and sedan. 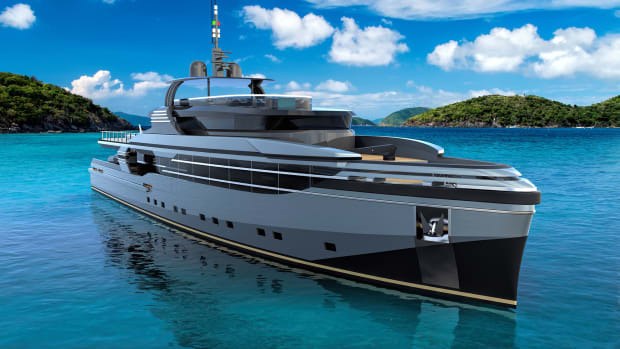 Hylas Yachts wanted to accommodate the needs of its discerning clientele of experienced sailors who are looking to enjoy power cruising and called upon Zurn Yacht Design to find a solution. 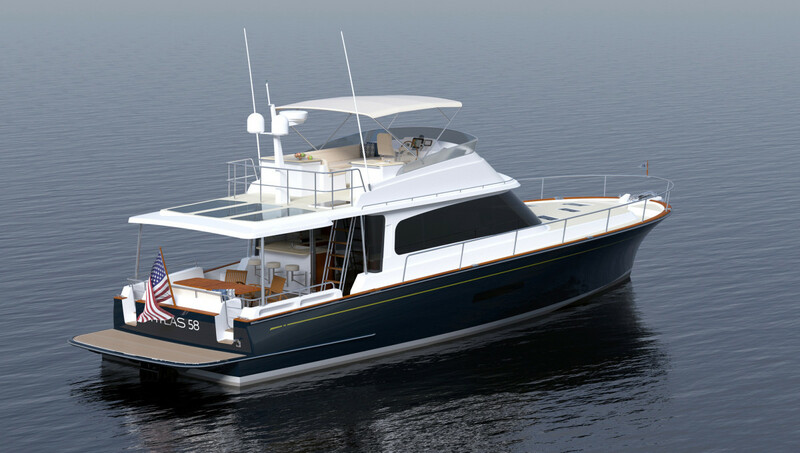 The result, the Hylas M58, will bring together traditional elements from classic commuter yachts and the amenities cruisers expect today. 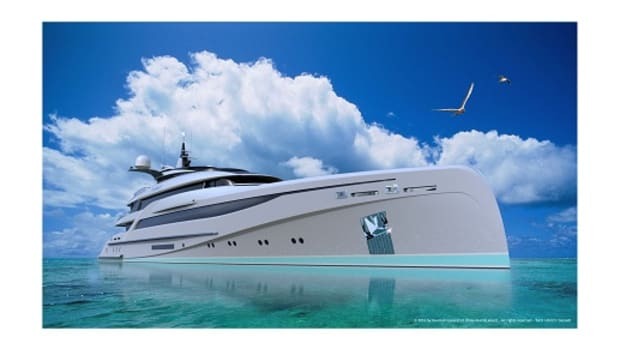 Strakes and wide chines will help with the lift, and the M58 is expected to have a 30-knot cruise with a range of 750 nautical miles, and a top speed of 35 knots with optional 1,000-horsepower Volvo Penta IPS 1350s. 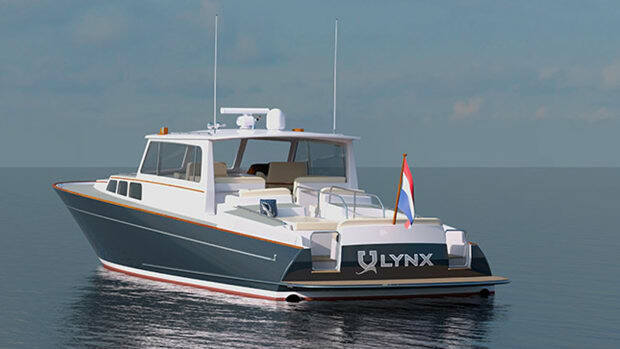 The other considerations for a powerboat shared by experienced Hylas owners are evident as well. For one thing, the M58 is destined to become a classic, thanks to her lines. The reverse sheer feels like an old friend, though its charm largely lies in one benefit it helps mask: forward volume over an 18-foot 9-inch beam. The deckhouse has a top that extends aft to shelter the substantial cockpit, but with skylights aft to break up the available shade. 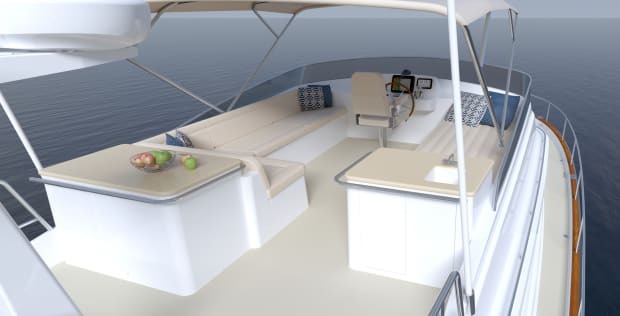 On the sedan version of the M58, there’s a sundeck atop the house, with sun pads and speakers for streaming connectivity, or perhaps SUP stowage. 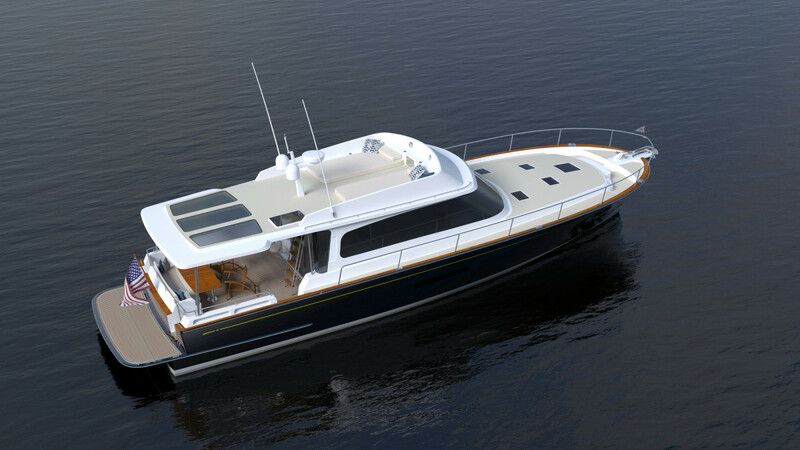 The Flybridge model will have a venturi windscreen and a more substantial surround protecting a low-profile helm station to ease bridge clearance. 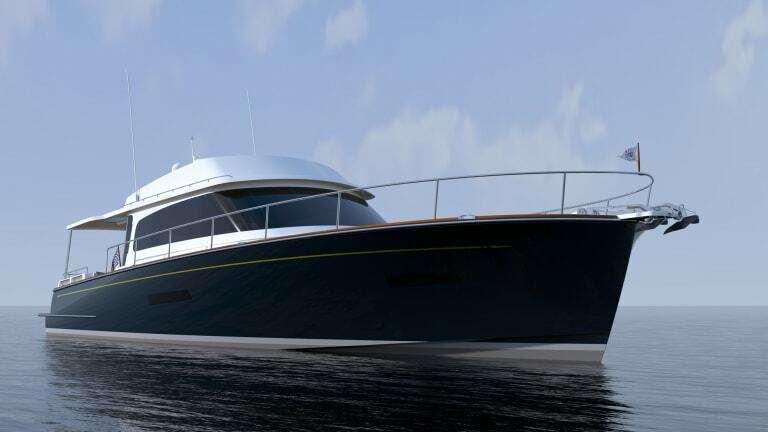 The Hylas clients also were interested in an open saloon and bridgedeck plan, with good sightlines all around, and Zurn Yacht Design has accommodated that request with a galley-aft arrangement. 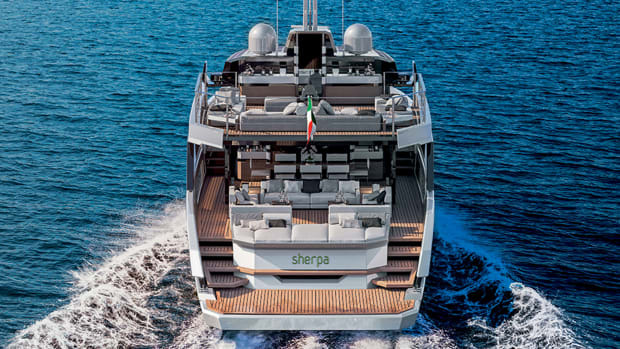 The glass doors fold and all but disappear out of the way, to create a seamless space between the saloon, galley, and cockpit, and the aft galley window retracts down into the counter, which then serves a cockpit bar. Belowdecks down a companionway is a three-stateroom layout centered around a lower-deck foyer with a stacked washer-dryer in a locker to port. There’s a forepeak en suite stateroom with an island queen berth and good hanging locker space. 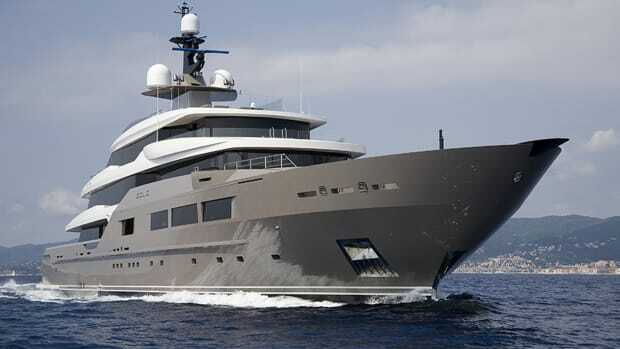 Another island queen is amidships, with the berth athwartships to starboard and the head and shower to port. 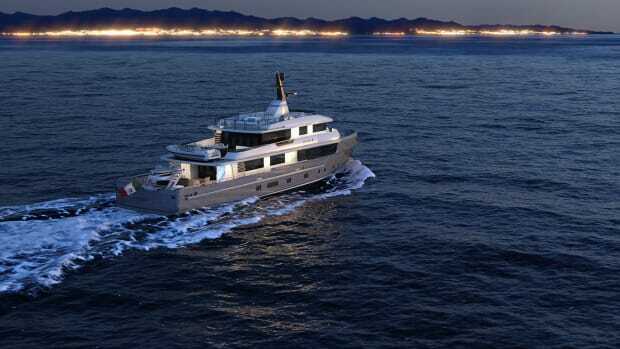 Forward and to starboard is a guest double with bunk twin berths and good drawer stowage or space for a small office. Head for this third stateroom is positioned across the foyer to port, and doubles as a dayhead. 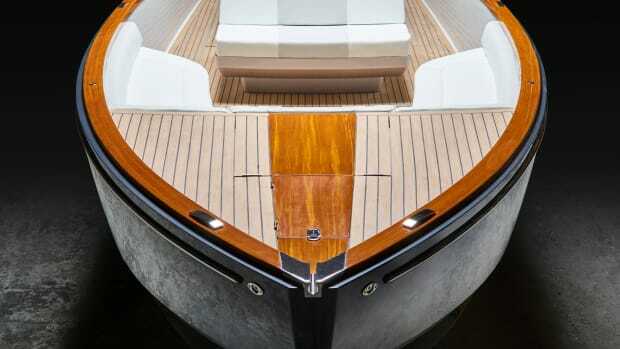 Standard power is from twin 725-hp Volvo Penta IPS 950s, which is expected to give the M58 a cruising speed of 23 knots for a range of 800 nautical miles, and a top speed of 27 knots. The hull will be constructed of vinylester resin and cored throughout with Corecell. Three other Volvo Penta IPS engine options, including the IPS 1350s mentioned previously, round out the power choices, and hull draft will range from 4 feet, 3 inches to 4 feet 9 inches, depending on the power selected. 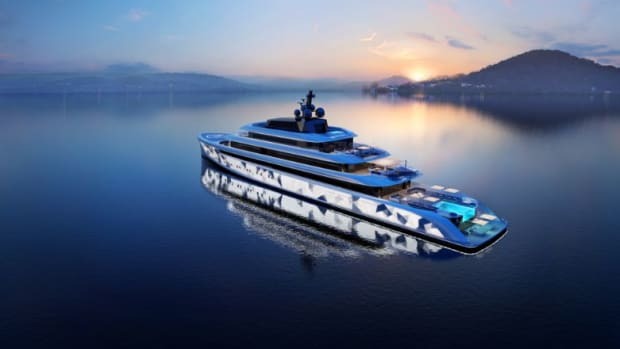 The new-look Hylas is expected to launch in late 2019.